Chanelle definitely has the beautiful, pregnant goddess look down. With glowing skin, a perfect bump and an aura of happiness surrounding her, I knew with one look that we were going to take some beautiful photographs during our sessions, both on the beach and in studio. She is 8 months pregnant which is the perfect time for a professional maternity shoot because women are clearly pregnant but have not yet reached the stage where they are too tired, as can happen at the very end of a pregnancy. Chanelle brought along big sister-to-be Jade who is such a sweet little girl! It was such fun playing on the beach, capturing some fun images of the family playing before we headed to the studio for some dramatic lighting. If you are interested in booking a maternity, newborn or maternity family photo session we would love to hear from you! You can get in touch with us here and on Facebook as well. 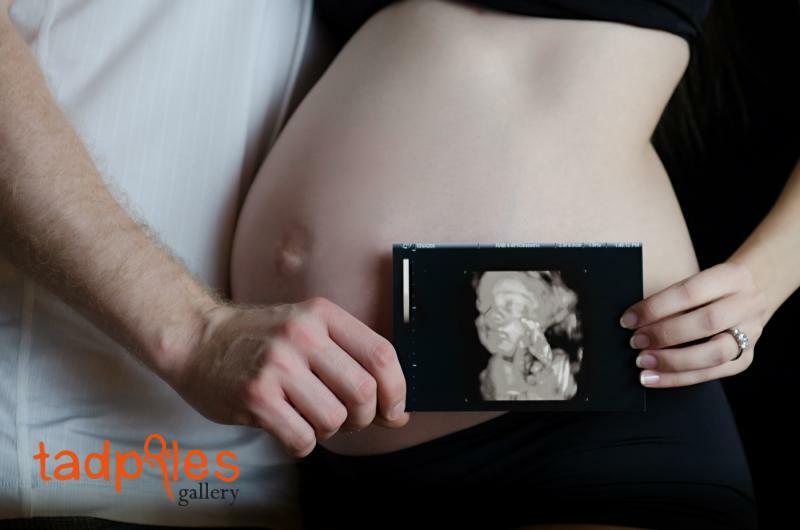 The 3D ultrasound image pictured above is from UC Baby in Victoria, check out their Gold Package here.